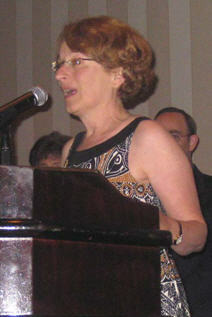 The International Association of Jewish Genealogical Societies bestowed four awards for 2009, recognizing outstanding individual and organizational contributions to Jewish Genealogy. 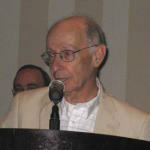 These awards were presented by Mark Manson 2009 awards committee chairman; Gary, Daniel, Phyllis and Kahlile , during the banquet held in conjunction with the 29th IAJGS International Conference on Jewish Genealogy in Philadelphia, Thursday, 6 August 2009. 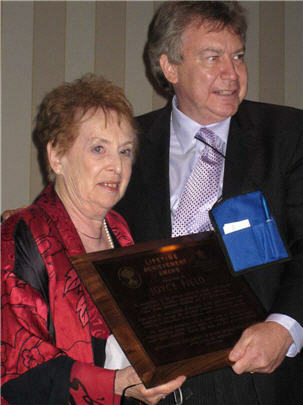 In recognition of her tireless efforts to create and manage significant JewishGen genealogical projects including Yizkor Books, Holocaust Database and the Burial Registry. Joyce used her considerable diplomatic skills, great patience and expertise to manage the volunteer program coordinators, and create relationships with archives and archivists worldwide. The resultant databases, with a superb level of quality and standardization, enable online access to translated archival records never before available . Thank you Joyce for this priceless resource. For his authoring of two books pertaining to the history of the Philadelphia Jewish community: The Jewish Quarter of Philadelphia: A History and Guide 1881-1930 (1999) and The Life and Times of Congregation Kesher Israel (2007). These books, rich in illustrations and commentary, have given its readers greater insight into the Jewish experience in this American city. For creating and teaching an innovative 17-hour course at Hebrew College that moves students from the basics to finding ancestral records in Europe. The course uses technology effectively to deliver online all information presented in live lectures. Extensive coordination and cooperation of multiple instructors ensure a seamless curriculum. Student feedback has been highly positive; some have joined the Society and become leaders. 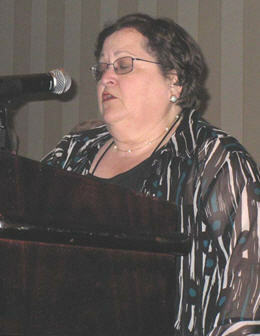 The program is available to others for establishing Jewish genealogy as a recognized academic study program. For its publication, Dorot, which has served the Jewish genealogical community for nearly 30 years with informative, original articles as well as serving the needs of informing its membership about local activities. The quality and scope of its articles demonstrate highest standards of content as well as a professional level of presentation and editing.